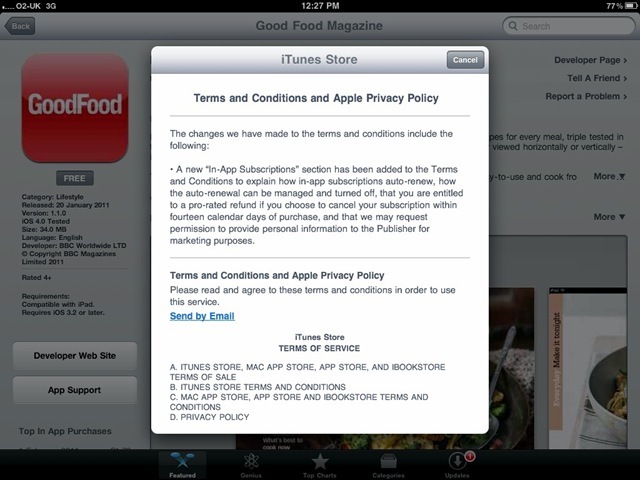 Following on from yesterday’s launch of The Daily, iTunes has changed its terms and conditions. Above is a screenshot from my iPad, when I was asked to agree to the new Ts and Cs earlier today. See the last line of the changes there? …and that we may request permission to provide personal information to the Publisher for marketing purposes.